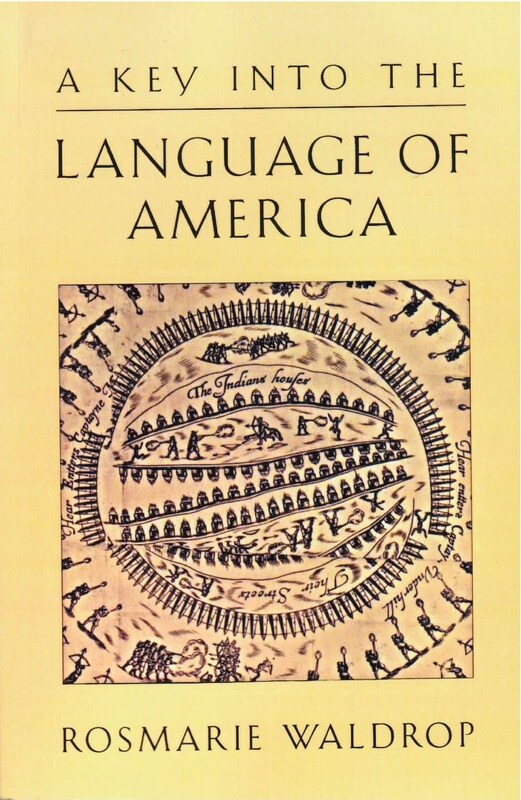 [Roger] Williams’s A Key into the Language of America was the first extensive vocabulary and study of an Indian language printed in English. Waldrop’s Key is a return and a reinscription. She…intersplices, turns, overturns, plots, weaves and threads, line for line, at least three structural system…Waldrop’s A Key is a witty, and deeply moving, translation of sexual and textual division and witness. The legacy of cultural imperialism, the consequences of gender, and the marginalization of the conquered are themes that combine and comment, one on the other, in Rosmarie Waldrop’s remarkable new work, A Key into the Language of America. As “formally adventurous” (A.L. Nielson, Washington Review) as ever, German-born Waldrop has based her new collection on Rhode Island founder Roger Williams’s 1643 guide (of the same name) to Narragansett Indian language and lore.